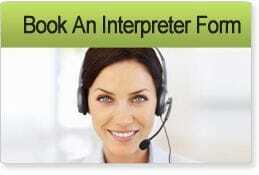 NABS interpreters should not be considered to be "accompanying" your child to any medical or health care appointment. The interpreter's role is to be a communication facilitator for each person at the medical or health care appointment. NABS will assume that the medical or health care professional in conjunction with the child's parent or guardian will make the decision about proceeding with the appointment and will advise NABS if the appointment does not go ahead. NABS will accept a booking for an appointment from a child 16 years of age and over. NABS will seek the advice of a third party ie parent, guardian or care giver if a booking is received from a child under 16yrs of age. The responsibility for the appointment will rest with the third party. If NABS cannot contact the third party for some reason, cannot clearly verify the third party, or does not receive confirmation from a third party, NABS will not proceed with the booking. NABS requests date of birth details from all sign language users who use our booking service.